"When we were Eritreans, 26 years ago, you Italians opened your doors for us, welcomed us into your homes, fed us. Today we want to to give back the favor, albeit modestly, by welcoming 20 refugees from Diciotti. 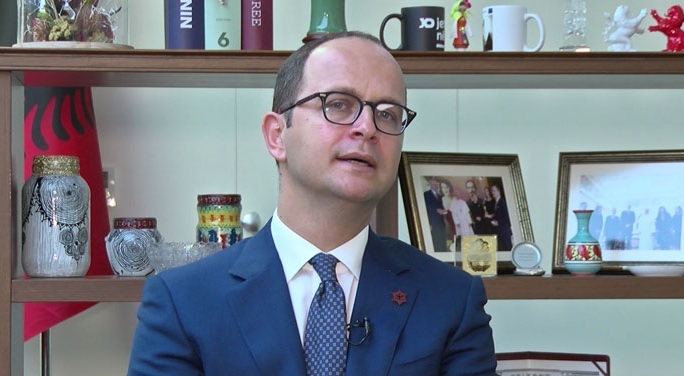 "Albanian Foreign Minister Ditmir Bushati summarizes the stance of the government for the admission of 20 emigrants blocked in Katania a day earlier for "Corriere." According to the Corriere article, this confirms Albania's new orientation a quarter of a century later, from a desperate country to a dynamic nation and in anticipation of June 2019 when the negotiations for EU membership should be completed. A gesture of Tirana that "looks forward to convey a message to others," Bushati writes, writes "Corriere". The agreement with Rome was followed by talks between the two countries' institutions. Then telephone conversations between Bushat and his Italian colleague Moavero Milanesi followed. In the coming days, Albanian and Italian officials will meet to organize the transfer and set the funds to be used. According to Corriere, it is about 20 refugees for the moment, but Bushati does not rule out that there may be even more. "Certainly based on our capabilities, we can not offer more than we can," he explains, writes Corriere.it. Asked if this gesture is a way for Tirana to accelerate its entry into the EU? Bushati, according to Corriere, replied: "We are ready, but we are more interested in giving a message," Bushati repeated, rejecting the idea of establishing refugee camps in Albania. "We are against and Prime Minister Rama has been clear: it is not the right answer to the migration phenomenon".